Teams and teachers together for the graduation photo. Closing flag ceremony at graduation. 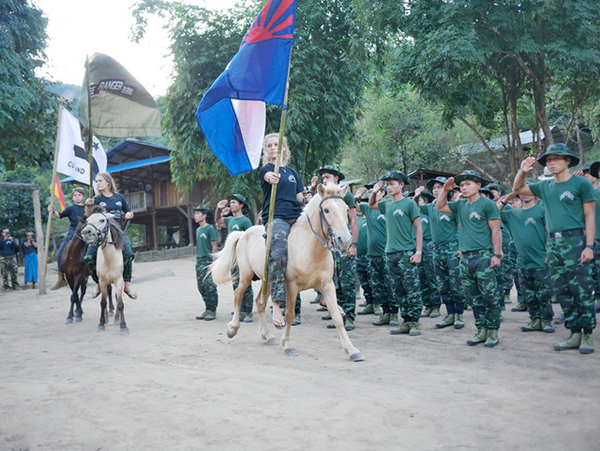 On 27 December 2018, 137 new rangers comprising 28 teams, and 40 advanced rangers, stood at attention on the drill field of FBR’s Tah U Wah Training Camp in Karen State, to be honored for completing the Free Burma Ranger Servant Leadership and Relief Team Training. This was the end of more than two months of training that had begun on this same field with opening ceremonies on 15 October 2018. 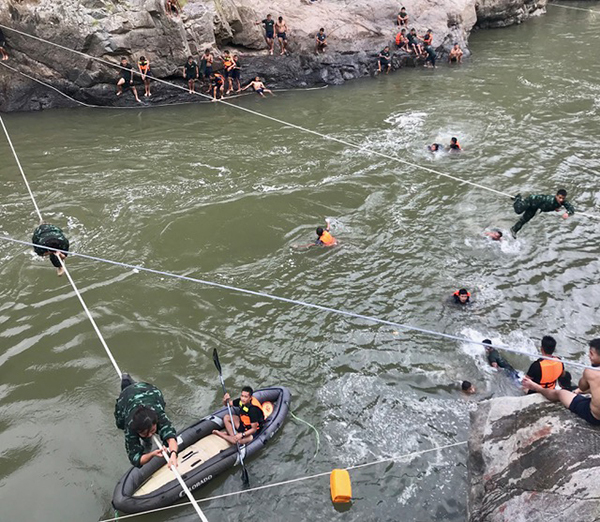 The rangers learn to swim, rappelling, and rope bridge crossing. This year, students came from nine different organizations and five different ethnic groups. 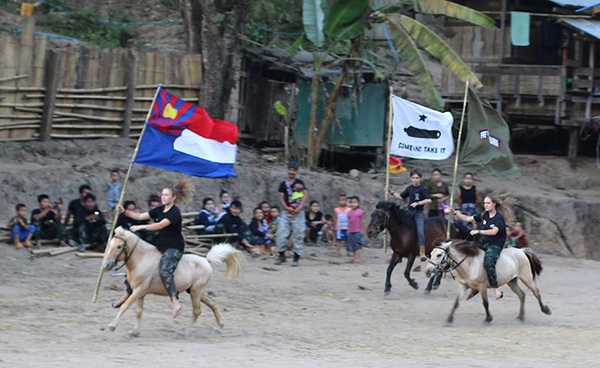 Arakan, Kachin, Karen, Karenni and Shan organizations all sent men and women to be trained. There are three requirements for FBR team members: 1) They must be literate in at least one language, to be able to send out reports. 2) They must have the physical and moral courage to be able to do physically hard and dangerous missions, and cannot run away from the enemy if the villagers they are helping cannot run. 3) They must do this work for love; they are not paid by FBR. Two new teammates sing together. 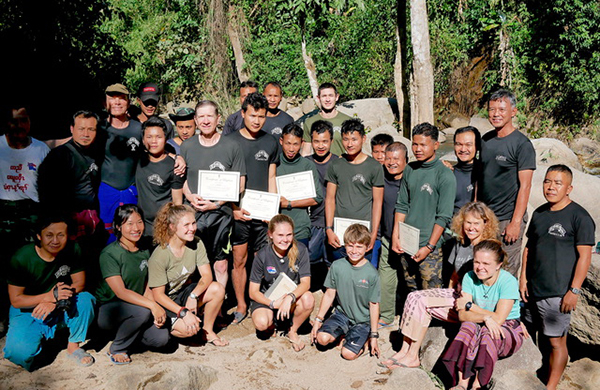 Just before graduation ceremonies, five rangers were baptized. Four were new graduates and one was one of the founding members of FBR. The teams will now be divided into five groups to complete five different follow-on relief missions, together with their instructors. 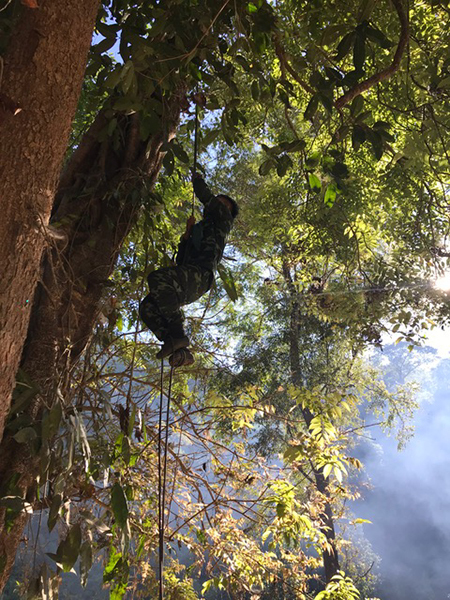 They will have an opportunity to practice their new skills on a real mission but with instructors and experienced rangers available for further coaching and feedback. Once finished with the mission, they will return to their home areas, ready to conduct missions there. 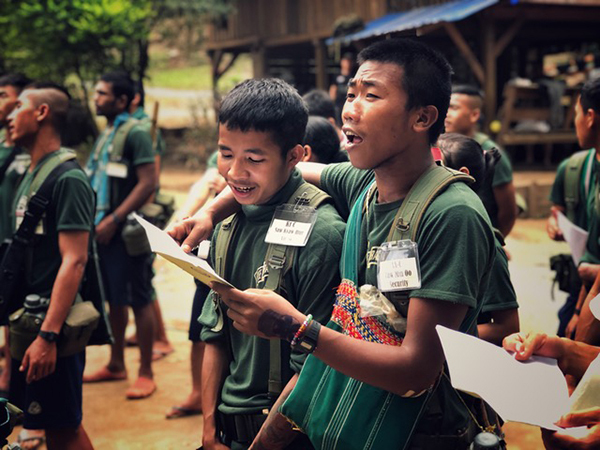 They will have learned and practiced many new skills to be able to help their people in any kind of crisis, as well as having gained new relationships across ethnic lines. 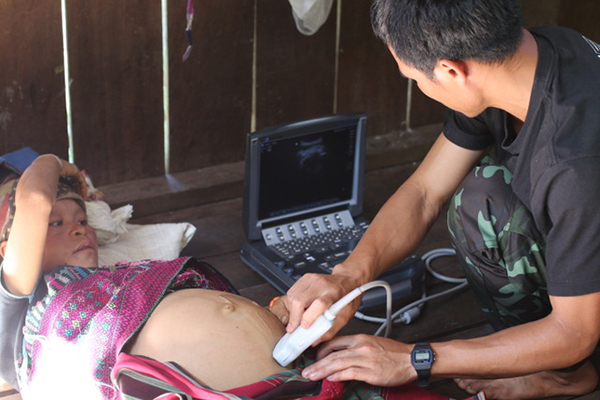 Both these skills and relationships will be of vital importance as Burma and her people move into an uncertain future. 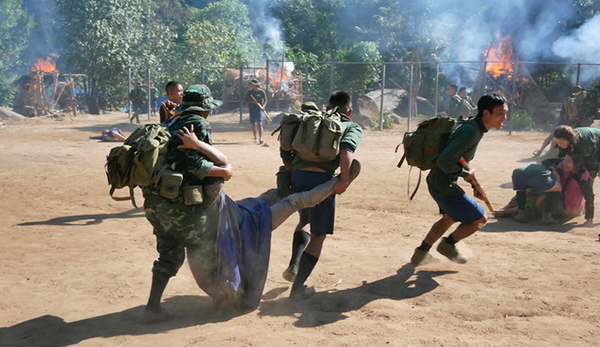 The final exercise: a simulated village attack the teams must respond to. Rope climbing practice during training. JSMK continues to treat patients as the training goes on; new medics will join classes at JSMK once their follow-on mission is complete. 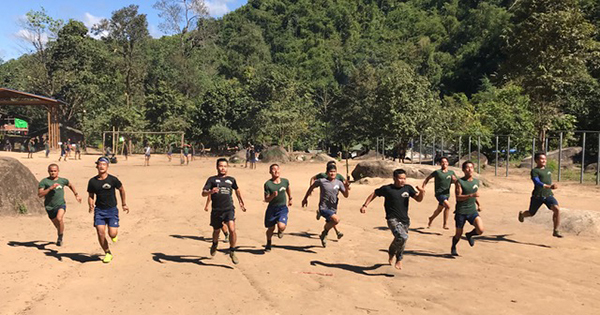 Rangers compete during the sports day competition. 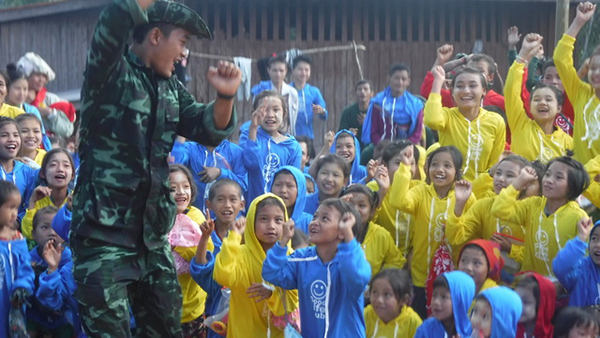 The teams visit local villages to practice Good Life Club and give a program to the kids. 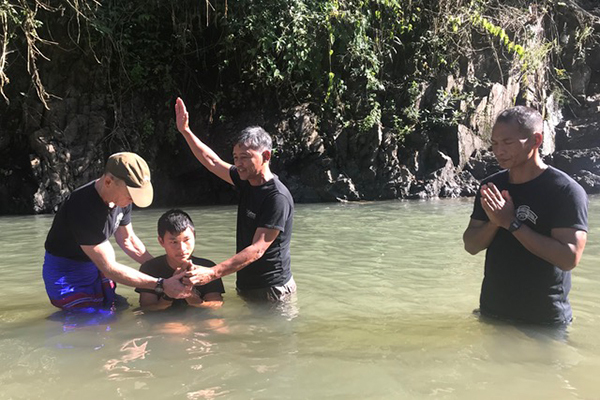 Five rangers were baptized just before graduation.